Trenchless pipe lining requires just an access hole to the pipe connection location. There is just a small hole dug down to that point in order to insert the lining into the underground pipe. Nothing else in your yard is disturbed. This means that sidewalks, driveways and landscaping will not be damaged when trenchless repairs are being made. Because there is no need for major excavation to your property in order to remove an existing underground pipe, the repair work is completed rather quickly. With only one access point required through minimal digging, a trenchless pipe lining can be installed in a fraction of the time it would take for the same repair done through traditional methods. A traditional dig-and-replace sewer line repair typically involves heavy equipment that tends to destroy yards and sidewalks, and with a large trench plowing your yard, your property remains scarred for a long time. With trenchless methods do not involve extensive digging or the use of destructive heavy equipment. One of the major benefits to a trenchless pipe lining is that it will probably never need replacement in the time you own your home. With a lifespan of up to fifty years your new pipe lining will also save you money because it will be the last repair you’ll ever have to make on the pipe it is installed inside of. Trenchless solutions are nothing short of cutting-edge technology because pipelines can be easily repaired or replaced while keeping everything underground. The upheaval of daily routines and landscaping is completely gone thanks to this advanced technology that allows repairs to go far more quickly and smoothly. 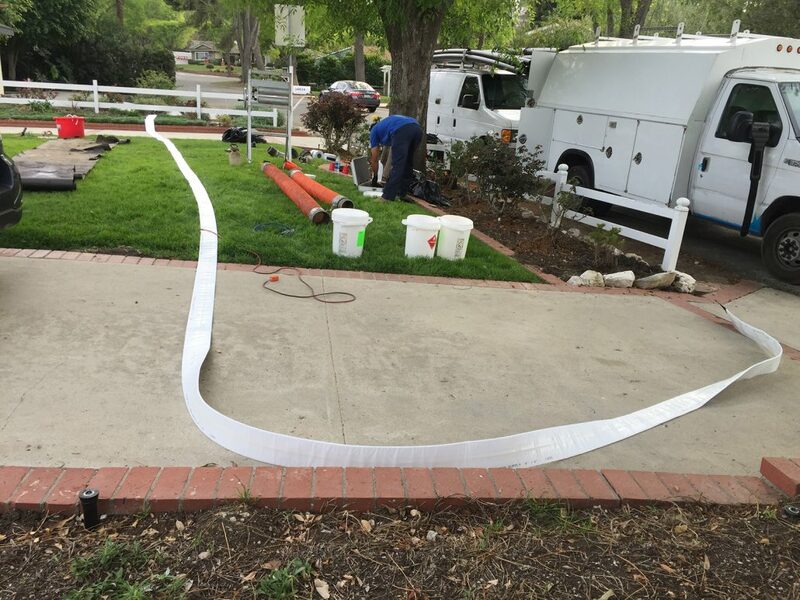 For more information about our trenchless pipe lining or other solutions we offer to customers in the Santa Clarita area, call our team of professionals at Rooter Drain Experts and we will be happy to help.